Are you a fan of the monstrum on the lookout for an excellent read? We have some splendidly scary news! 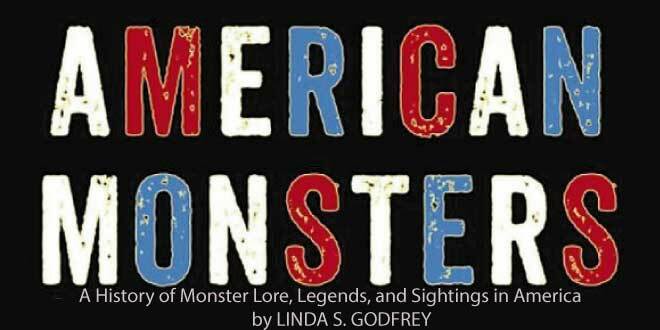 Linda Godfrey recently unleashed a whole slew of mysterious monsters onto the world in her book, American Monsters: A History of Monster Lore, Legends, and Sightings. It’s no secret we’re quite fond of the variety of monsters running around within our website. And it shouldn’t come as a surprise her new book about a whole gaggle of cryptids flying, swimming and lumbering on foot through much of the United States is right up our alley. We’re not the only one’s taking notice of Godfrey’s new book. Horror Novel Reviews just released their picks for the Top 10 Authors of 2015. The weird and wicked American Monsters came in at number 10 and Matt Molgaard, who penned the review, felt Godfrey is one of the top authors who blew his mind in 2015 and deserved recognition. Fans of Godfrey’s who’ve read American Monsters or any of her other creature books already understand why someone would describe her work as mind-blowing. The rich history and background work she presents breaks up the monotony of what might otherwise be a tediously high volume of eyewitness accounts if tackled by a less inspired author. American Monsters is one of Godfrey’s latest releases in a series of books based on eyewitness sightings of mysterious and elusive monsters in America. Her previous books include The Michigan Dogman and Other Unknown Canines Across the U.S.A, The Beast of Bray Road and Hunting the American Werewolf. You can check out our review of The Michigan Dogman here. Compared to The Michigan Dogman and The Beast of Bray Road, Godfrey took a different approach in American Monsters. In her previous books, she mainly focused on unknown canines, dogmen, and possible werewolves and sprinkled in a light helping of sightings involving UFOs, cryptids, and other unexplainable phenomena. Lycanthropes take a back seat in American Monsters to a whole host of peculiar cryptids that are finally given center stage. Exactly what is a Monster? American Monsters organizes the cryptids within its pages into three major types; Air, Water, and Land, depending on their predominant habitat. According to the well-documented eyewitness accounts in her book, these monsters fly, swim and bound trough the land often with abandon and ferocity. Godfrey tells each tale with her perfect, no-judgment style, letting it all “hang out” for everyone to read and come to their conclusions. Godfrey tells each tale with her perfect, no-judgment style, letting it all “hang out” for everyone to read and come to their conclusions. The airborne cryptids, chronicled at the beginning of her book, are proof you don’t need to be a googly-eyed, humanoid terror to wreak havoc monster-style. Eyewitness accounts tell of massive birds, some the size of commercial jets, that dive bomb people from above, threatening to carry off pets and small children. Godfrey describes how these great avians spawned the legend of the Thunderbird among Native Americans and thoroughly discussed the mysticism involved in those and other winged spirit beings. Other remarkable flying freaks include the Batsquatch, the Mothman, Pterosaurs, the Jersey Devil and Chupacabras, to name a few. Some observers have even claimed to see the occasional gargoyle and serpent-like dragons snaking their way through the skies. Amazing. Drowned-sters, writes Godfrey, come in the form of washed up, decomposed, nonaquatic mammals that find their way shore, usually going viral as the world wonders just what-the-heck the creatures are. More times than not, they’re identified using DNA testing as dogs or raccoons. However, sometimes they’re not. The Montauk Monster, for example, first appeared when its photo was posted on Gawker in 2008, mysteriously disappeared before conclusive testing could take place. The media and public dubbed the creature a full-fledged monster and Gawker stated it looked like a dog with “this crazy-looking beak.” Conspiracy theories abounded about what the monster was after the carcass mysteriously disappeared, and some people even wondered if it was a genetic experiment gone wrong. There’s a chilling story in this section centering on a man from the eastern part of Florida who’s been stalked by an Alligator Man since 2010. The object of the cryptid’s obsession is an eighteen-year-old volunteer at a Florida paleontology museum. 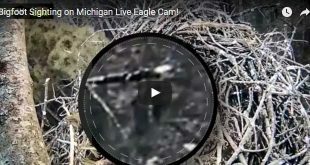 The story’s reminiscent of some of the manwolves in the Michigan Dogman whose curiosity (or hunger) drives them to stalk humans, peeping in their windows late at night. Godfrey laments in the story that the situation has the “earmarks of an ongoing situation” that will continue, unfortunately. In the last part of her book, Godfrey tackles monsters roaming good old terra firma, their feet, paws or hooves firmly planted beneath them. For us, this is the best part of the book, and Godfrey is clearly in her element. To be clear, the previous sections are delicious, well-researched and range from the interesting to downright creepy. The extensive research Godfrey did on upright canine monsters for her man-wolf books really shows through, and she’s cherry-picked some of her best stories and placed them in this part of American Monsters. 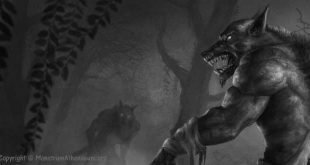 Starting out, we are reacquainted with some of our favorite upright canine monsters and werewolf whatsits featured in The Michigan Dogmen and The Beast of Bray Road. These canines are diverse, walking on four legs and other times on two, their heights ranging anywhere from about three feet to eight feet or more when they stand up as straight as a man-wolf can. Some of the shaken-up witnesses to have encountered these beastly animals report they are impervious to bullets (maybe silver would work). Others have said that they didn’t snap a pic because they sensed the creature would try to kill them if they did. That may be why there aren’t more photos of man-wolves. These beasts aren’t inclined to pose, and running for your life makes for very shaky photos and videos. There are other enthralling and dangerous animals in the land section, and Godfrey treats them all with great detail and gusto. Wendigoes, strange hybrids, goat-men, were-cats and reptile people are all there, documented thoroughly. One of our all-time favorites from the Michigan Dogman is in this section, too. It involves an incident in northwest Milwaukee at Holy Hill, an area named for the twin-spired Catholic Shrine overlooking the Kettle Moraine State Forest and forests of the river valley. According to American Monsters, Holy Hill is an unusual location and home to more than one type of monster. The first settlers told stories of an upright, hairy beast that stalked the area at night. One legend tells of a ferocious Goat Man, who terrorized a newly married couple, killing the groom, after their vehicle became stuck. According to the book, to this day, the Goat Man continues to menace people in the Holy Hill area, trying to push their cars over the embankments of hillside roads. One incident, according to the book, involves Stephen Krueger, a contractor for the Department of Natural Resources. Krueger, a very credible witness, is hands-down one of our personal favorite stories of monstrous encounters at Monstrum Athenaeum. You can catch our interview with him and a detailed description of his encounter with the Bearwolf of Holy Hill here. Godfrey theorizes that the creature known as the Goat Man is likely the same being Krueger identifies as an unknown, upright canine in his account. Many other witnesses share a similar story to Krueger’s and are very credible in Godfrey’s opinion. Additionally, many of them have gone on record saying they’ve nothing to gain but ridicule by reporting the weird events forever burned into their brains. Paranormal fans reading American Monsters will be delighted to find there’s also a healthy-sized section devoted to the history of sightings surrounding the elusive Sasquatch. The Native Americans lived in harmony with the beast for millennia, reports the book, and there are plenty of names they used to identify the hairy hominid. Many other fascinating facts and eyewitness accounts about these creatures are explored in this section, too. For instance, did you know most Sasquatch sightings are in California? We didn’t, either, until we read about it in American Monsters. What On Earth are these Monsters? Many of you out there may be wondering what these bizarre monsters are that so many terrified folks keep encountering. If they’re not real, then why do so many people see them, right? Godfrey considers several theories that possibly explain why there’s such a bevy of American monsters teasing us with cameos. For starters, the creatures may be genetic experiments, misidentified or yet-to-be identified animals or spirit beings from mystic or supernatural origins. Other explanations put forth consider the possibility some of them could be extraterrestrial in nature or spat out of time portals, only to return to the portal later. Then again, others could be hoaxes, Godfrey tells us, so be sure not to shoot that suspected man-wolf or Bigfoot you encounter. The reasoning behind her advice is that you just might shoot a hoaxer wearing a scary monster suit trying to play a practical joke or start the next viral video. We would have to agree with that assertion. For the record, Godfrey never judges the eyewitnesses. She only reports the information available about their tales and does her best to capture how the witness tells it, only changing details in a minor way if needed for clarity, as she has said before. The author wraps up her book by adding in some details about a couple of encounters she had with monsters herself. Monstrum Athenaeum won’t spoil those stories for you, but we will say this — if you read the Michigan Dogman, you’ll be familiar with one of the monsters she describes. 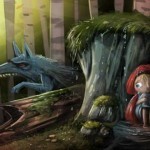 This section contains a couple of creepy-good yarns that you’ll surely not want to skip. American Monsters: A History of Monster Lore, Legends, and Sightings is one of the most influential monster books we’ve read in a long time since author Maurice Sendack warped our little minds. As children, we wondered if monsters existed after reading Where the Wild Things Are. Linda Godfrey invites us to question again, as adults, if they could be real as we thumb through the pages of her book. Adrenaline junkies will savor the scary portions of American Monsters, it’s just what they’re looking for. 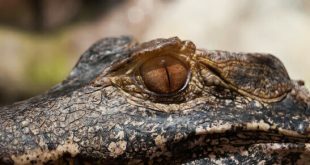 The most terrifying aspects of the book revolve around narratives such as those about upright canines and the Alligator Man. These particularly nasty creatures exhibit a higher form of intelligence, display malevolence and have a tendency to stalk folks on their radar. Linda Godfrey’s page-turner is hard to put down, and it’s an easy read at a little over 300 pages. While you may not admit it to your friends, if you’re a skeptic, American Monsters will undoubtedly force you to reconsider whether these cryptids exists. 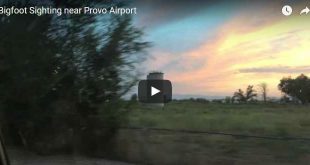 Next Is A Pterosaur Flying Over Idaho?